Not one person. No. Body. I didn&apos;t tell a soul. I didn&apos;t even HINT that I&apos;ve known for weeks exactly which CoverGirl product Ellen is representing come January 2009 -- a new foundation+skincare baby born of another hook-up between CoverGirl and Olay. Didn&apos;t even tell the staff. She&apos;s pissed. YOU would have been the first I told, â€™cept she peeked as I was writing this post. Sneak. Well, the word is out. CoverGirl & Olay Simply Ageless Foundation is a silky, lightweight, full-coverage foundation from CoverGirl that contains Olay Regenerist serum. Skincare in foundation isn&apos;t new, but this texture is different from any other full-coverage makeup I&apos;ve met. When the cream hits skin it instantly becomes more fluid, glides over skin. P&G Beauty says it "forms an &apos;invisible suspension system&apos; that floats over the surface" so it doesn&apos;t settle into fine lines. I&apos;ve only tried some on the back of my hand and marvelled. I haven&apos;t yet worn it; if I like it on my oily-t-zone skin, I&apos;ll let you know. In the meantime, CoverGirl & Olay Simply Ageless Foundation ($16.99) is available at select mass retailers this month, and across the country as of the first week of January 2009. Visit covergirl.ca or covergirl.com for info and video-deets. If you just want more Ellen -- and who doesn&apos;t? -- click here. 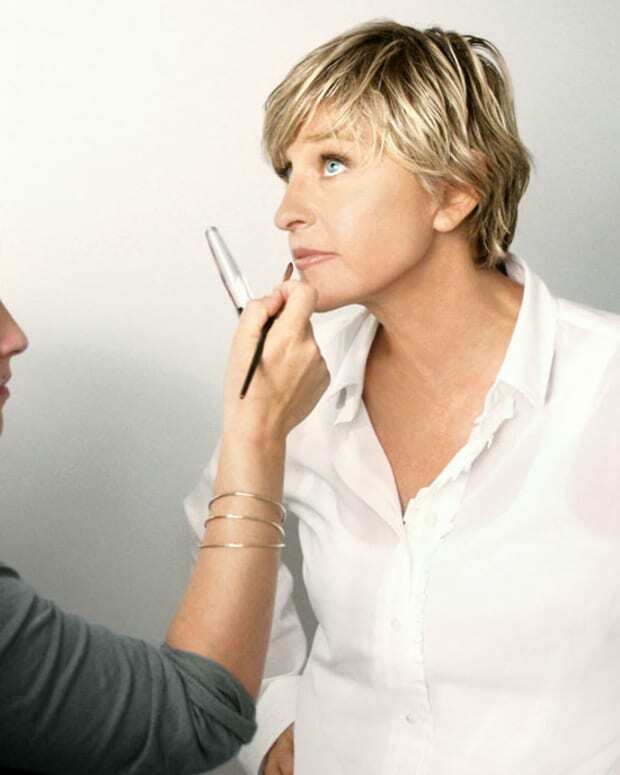 Image of Ellen at her CoverGirl & Olay Simply Ageless Foundation commercial shoot courtesy of P&G Beauty. 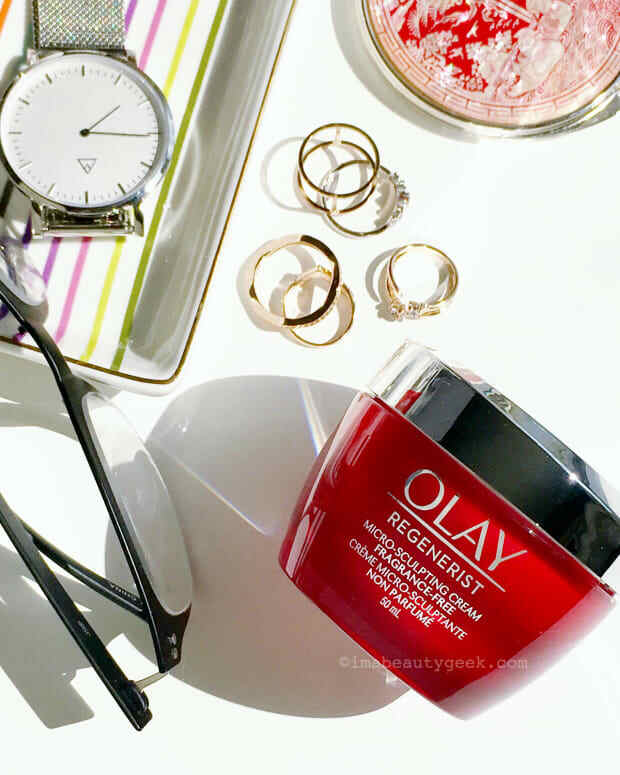 HOW EXACTLY DID GOOD HOUSEKEEPING TEST OLAY REGENERIST MICRO-SCULPTING CREAM?